Kevin Edward Dwyer was born on 19 July 1913 at Goondiwindi, Queensland. In 1935 at Redfern, Sydney, Kevin E Dwyer married Pearl E O’Donnell (d.1982), and had three sons and a daughter. He died at Alexandria on 22 August 1982. A requiem mass was held at Our Lady of Mt Carmel, Waterloo, before his interment in the Catholic Lawn cemetery at Botany. In 1953, it was reported that ‘Alderman K. E. Dwyer, who was briefly MLA for Redfern is now a building contractor’. In 1950, Dwyer became one of the inaugural trustees of the Camperdown Memorial Rest Park. He was a member of Erskineville Bowling Club. Dwyer was elected member of the Legislative Assembly for Redfern from 1949 to 1950. 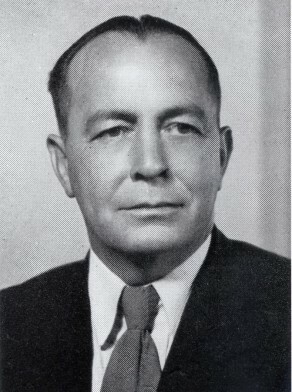 Kevin Dwyer was Alderman of the Alexandria Municipal Council from 1947 to 1948. He was Alderman for Newtown Ward, 4 December 1948 to 1 December 1950, for Alexandria Ward, 2 December 1950 to 4 December 1953 and for City (Macquarie) Ward, 5 December 1953 to 30 November 1956. He was a member of the Finance Committee, 1949-52, the City Planning and Improvements Committee, 1949-52 and the Health and Recreations Committee, 1953-56. He sat on the Works Committee in 1952 and again between 1953 and 1956 and served as its Vice-Chairman in 1953. Dwyer was the Deputy Lord Mayor in 1954 and in 1956.